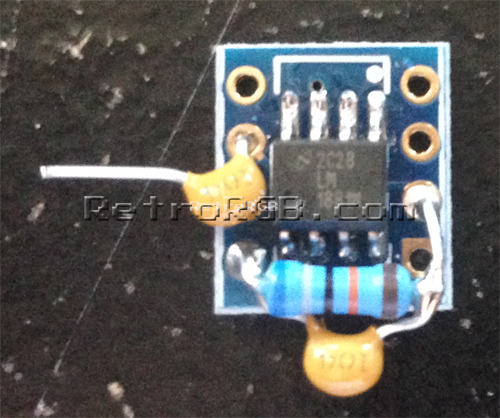 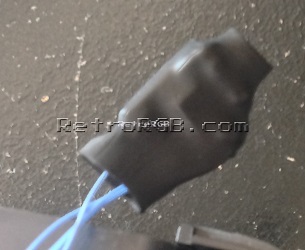 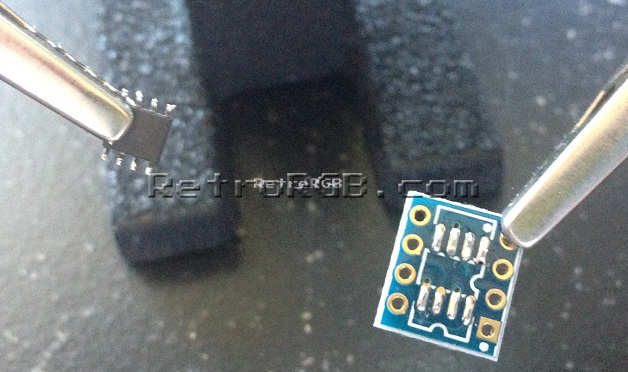 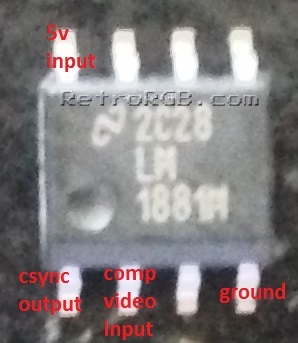 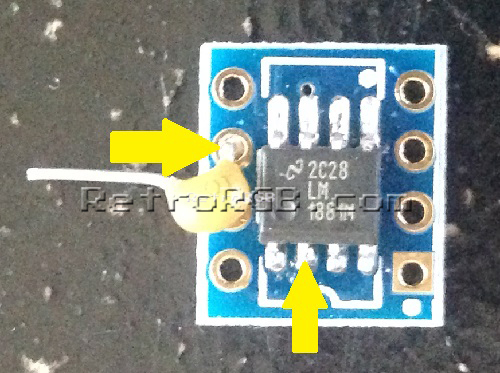 This page will show you how to use an LM1881 chip to “strip” the sync information from composite video, for use in an RGBs video signal. 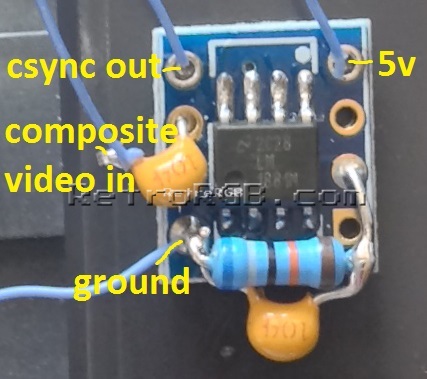 If you’d like to buy a pre-made sync stripper, please check out this page. 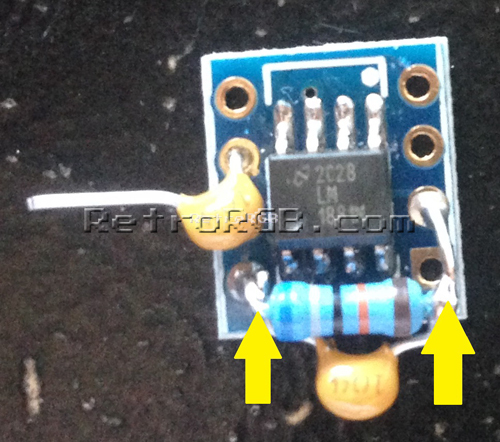 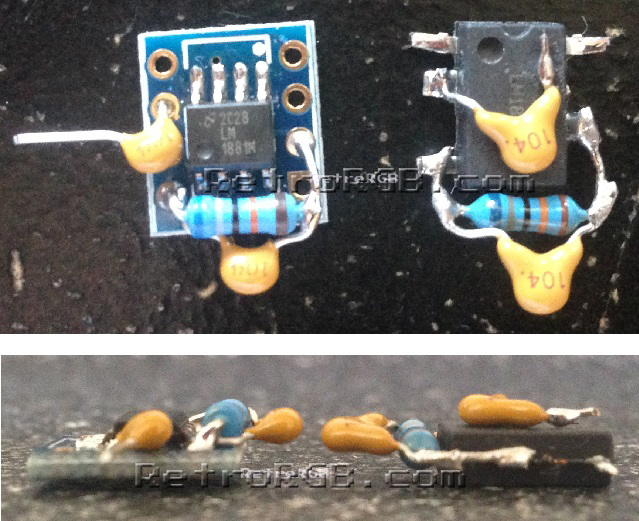 – Next, solder a 0.1uf capacitor to the resistor. 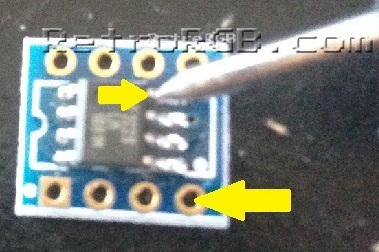 I like to solder it as close to the resistor itself as possible, to make sure it’s not touching anything else, or touching to board’s pads. 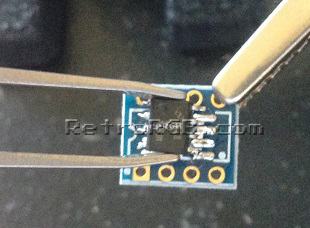 – After you’re done, it’s good to cover the circuit with heatshrink tubing, so you won’t risk shorting it out (or anything else around it).